Bookings are now being taken for our final members' social event of the year, the New Year's Eve Party! 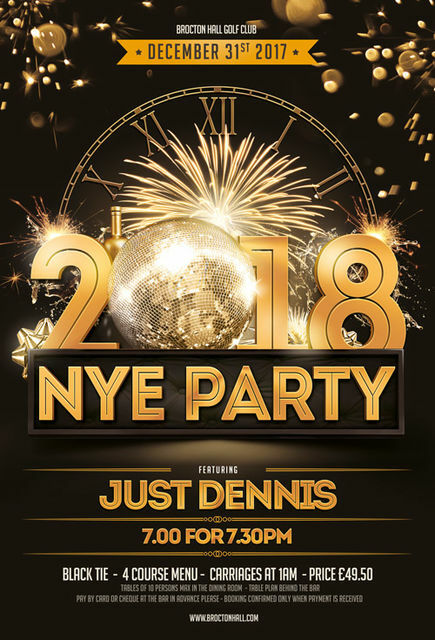 Entertainment will be provided by the singer "Just Dennis". Please make your booking with the Bar. Payment is required in advance of the event and your booking is only confirmed when payment has been made. Tables of 10 persons max in the Dining Room. Please note that a minimum of 24 hours notice is required for any changes to the menu. Members and their guests are most welcome.